How can I earn money online as a student in Nigeria? Honestly, it is not easy being a student in Nigeria as a result of the harsh economic realities in the country. The cost of education in Nigeria these days is very high. On the other hand, the income of parents and guardians is barely enough to take care of the family much less cater for the educational requirements of their children and wards. Hence, you have a lot of bills to settle as a student and you are not given enough money by your parents or guardians to take care of them. It is not surprising, therefore, that you will look for how to make money in Nigeria as an undergraduate. 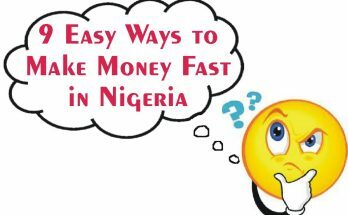 Hence, as a student, you will surely appreciate any legit easy means of making money in Nigeria without stress. And that is what this article is all about. As a matter of fact, you are about to discover how you can make money in Nigeria as a student while still in secondary school or as an undergraduate at university. You will also learn about business for Nigerian students or online jobs for students in Nigeria to engage in. Let me assure you straight away that lots of undergraduates and students in Nigerian universities and secondary schools are already making a part-time or full-time income legitimately on the internet. You will learn about some of the successful Nigerian internet marketers in this write-up. Blogging is one major way that you can make money in Nigeria as an undergraduate. To show you just how lucrative the business of blogging is, Linda Ikeji, a renowned female blogger in Nigeria reportedly earns over N50m every month from her blog. That is awesome indeed! To prove it to you that she makes that kind of money from her blog, Linda Ikeji has several housing properties in Ikeja and Banana Island, Lagos, Nigeria. She also has several choice and expensive cars at her garage. 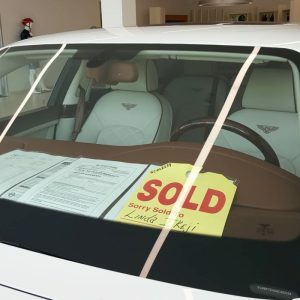 The latest in her collection of expensive vehicles is a brand new Bentley car worth N120m which she bought in the month of September 2018 to celebrate her birthday and her few days old baby. The car is said to be more expensive than Davido’s own. Imagine that! That is how lucrative the business of blogging is! Read the full details of Linda Ikeji’s brand new Bentley and watch the video here. You might be wondering how Linda Ikeji makes money from her blog. If so, see the comprehensive account of how Linda Ikeji makes money from her blog here. How long did it take Linda Ikeji to start making money from her blog? Well, she started blogging in November 2006. However, it was not until five years later in 2011 that she started earning consistent income from her blog. Read Linda Ikeji’s full story in this detailed interview here. For an in-depth discussion of how to make money blogging, please see the new smoking-hot fresh-from-the-oven eBook by Kome Itoje titled: “How to Make Money Blogging Starting from TODAY! (A Case Study of Nigerian Bloggers)”. The information marketing business is another strongly recommended online business for Nigerian students that you can use to make money in Nigeria as an undergraduate. Believe me. The information marketing business is one of the very few among the list of online businesses in Nigeria which you can start very quickly with little capital and start to earn a monthly income without any delay. As a student, you will be able to find an alternative source of income to see yourself through your higher education with the information marketing business – without depending fully on your parents or guardians for every little thing. The information marketing business is equally the best home business for stay-at-home moms and housewives. You can easily use the income realized from the business to support your husband on the home front. Onome Maureen is one of such married women who has benefited a great deal from the information marketing business in Nigeria. She has this “ICO Profit & Cryptocurrency Trading Home Study Online course” which she has been marketing on her website for some time now. In the home study course, she promises that you can “Copy My 5-Step Secret Methods I Used To Turn N61,000 into N5.2 Million Naira With Cryptocurrency Trading And ICOs”! “Turn N61,000 into N5.2 Million Naira”? That is what I thought too until I checked it out for myself. And I became convinced beyond reasonable doubt that she is for real. Hence, I can attest to the fact that she is not exaggerating its income-earning potentials one single bit with that headline since I have personally benefited from this home study course. The home study course is being offered for a limited number of people at N12,500. Multiply N12,500 by the limited number of 100 persons which it is being offered for and it gives you N1.25m. If the home study course is completely sold off in 2 months, that automatically translates to over N600,000 in just one month from the information marketing business alone. And that is quite possible because the course is truly loaded. That is simply amazing indeed. Thus, Onome Maureen has succeeded in maximizing her income from her knowledge of Bitcoins, ICOs and cryptocurrencies by engaging in the information marketing business. But, Onome Maureen is not the only female information marketer in the business. Aderonke Bamidele is another female internet marketer who is engaged in the information marketing business in Nigeria. You may find it hard to believe. But, the information marketing business is what Aderonke Bamidele, also known as “Infopreneur Queen”, used to earn N203,000 in just one day. Imagine – JUST ONE DAY!!! And it is the same information marketing business that Adetunji Gbolagade used to earn approximately N6,000,000 – almost 50% of his earnings – last year. That is a monthly income of N500,000 from the information marketing business alone. That is simply remarkable indeed! Now, how many civil servants earn that kind of money every year in Nigeria? Not many I assure you! Honestly, with information marketing, you do not need to go about looking for how to make blood money in Nigeria. Indeed, information marketing business is the easiest and fastest way of making money in Nigeria in 2017, 2018, 2019 and even beyond. Another strongly recommended business for Nigerian students is Bitcoins, ICO and Cryptocurrencies trading. Bitcoins trading is fast gaining ground in Nigeria. Bitcoins is a cryptocurrency, a form of electronic cash. It is a decentralized digital currency without a Central Bank or single administrator and can be sent from user to user on the peer-to-peer bitcoin network without the need for intermediaries. Bitcoins are created as reward for a process known as mining. Can you really make money from Bitcoins? A lot of Nigerians are already making money from Bitcoins. Some of them are Onome Maureen, Olaide Alim, Tunji Gbolagade and countless others in Nigeria. So, how do you make money from Bitcoins trading? The commonest way to make money from Bitcoins is by buying when the price is low, holding on to the Bitcoins and selling them when the price rises. You thereby make a profit on the sale. However, the price of acquiring one Bitcoin is at least over USD6,000 which translates to over N2m when converted to naira. So, acquiring Bitcoins may be completely out of your reach. But, that is not to say that you cannot participate in Bitcoins trading. By participating in ICOs and cryptocurrencies. The process of ICOs and cryptocurrencies trading is really quite simple. Just like bitcoins trading, it involves buying when the price is low and selling when the price rises. This is very much like forex trading. Or, like buying red oil at a low price and selling when the price increases. Pretty simple. Here is Onome Maureen’s testimony of how lucrative the business is in the sales page for her “ICO Profit & Cryptocurrency Trading Home Study Online course” below. 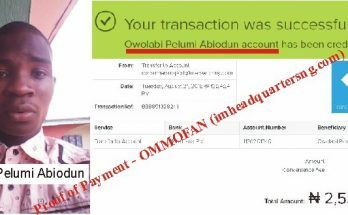 “…I turned N277,200 into N3.4 Million Naira in under a few minutes with a cryptocurrency coin that cost about $0.0056 per coin. $0.0056 = N2 per coin. “Two months earlier, I turned about N61,000+ into N1.8 Million Naira. “From the N1.8m returns, I took out N277,200 and turned it into N3.4 Million. “And I’ve repeated such income results over and over again… even in 2018. “Not only that, some of my students following my advice and friends have also achieved the SAME Results! “Bitcoin is the best performing investment in history. “Nothing comes close to the 25,000,000% gains the world’s most popular cryptocurrency has seen since its inception. “Just $10 in Bitcoin back in 2010 would be worth $2.5 million today. You may want to check out Onome Maureen’s “ICO Profit & Cryptocurrency Trading Home Study Online course” HERE. Here is why the bitcoins, ICOs and cryptocurrencies trading is strongly recommended for Nigerian students and undergraduates alike. Go ahead and start a Bitcoins, ICOs and cryptocurrencies trading business without delay! 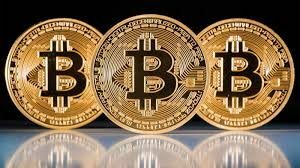 For more information on how to make money from Bitcoins, please refer to the free report on Bitcoins that is offered as a BONUS with the book “How to Make Money Online in Nigeria GUARANTEED!” by Kome Itoje. The binary options or forex trading business is another one of the things a student can do to make money in Nigeria. Honestly speaking, you can make a consistent income online from binary options and forex trading in Nigeria. Is it really possible to make money from forex trading? Well, the story of Abdullahi Adebayo would indicate so. 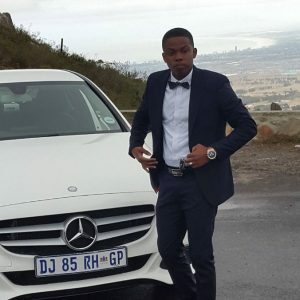 I reasoned: “How is it possible for a 23 year old student from Lagos, Nigeria to earn more than $50,000 per month, so that he bought himself a Mercedes AMG? Impossible!” I exclaimed. When Kano-born Otubo Nwabueze also came forward with a similar story, I had to give this lad’s story a second look. According to the report which was published in Money News, Abdullahi Adebayo from Lagos, Nigeria is earning $50,000 on a monthly basis, without leaving his house. “I think everyone has a dream, so did I. While I’ve been working for 2 years as a cashier in one of the stores, I haven’t got any closer to my dream! Now, I’m earning $50,000 per month, working on my PC at home. Do you want to do the same? Some time ago I haven’t even thought that anyone here can earn more than $10,000 a month. I still can’t believe that I’ve managed to achieve this level and that’s really awesome. All of my dreams came true, thanks to the BINARY OPTION. 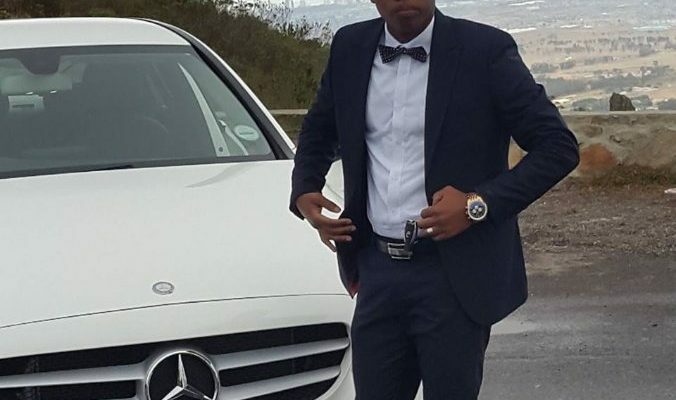 At just 23 yrs old, Abdullahi Adebayo has won the title of being Nigeria’s youngest multi-millionaire. This was a young boy that grew up in poverty, but refused to be broken by it. Instead poverty became a powerful motivator that pushed him to make something of himself. Read the complete story of Abdullahi Adebayo here. For more information on how to start binary options and forex trading, please refer to the free VIDEOS and PDFS that are offered as BONUSES with the book “How to Make Money Online in Nigeria GUARANTEED!” by Kome Itoje.